Scroll down to view all designs and descriptions. 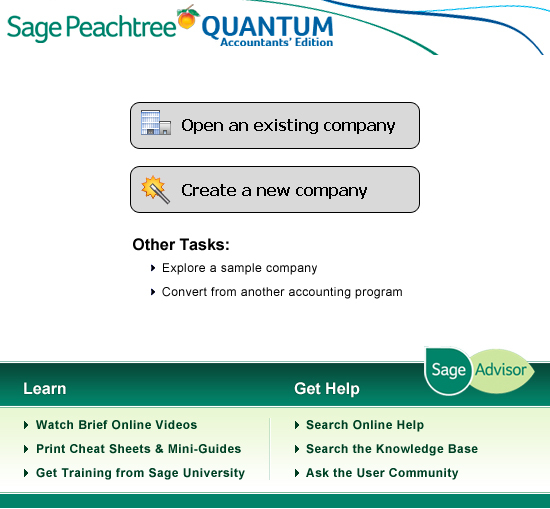 Sage Advisor is a proprietary system of personalized user assistance created for Sage 50 Accounting software. By tracking customer usage and purchase history, Sage Advisor can recommend relevant partner services, thereby monitizing the user experience through big data while also measuring change in behavior. Sage Advisor also seeks to address customer retention and reduce support call volume. More about the UX strategy by the creator of Sage Advisor here. 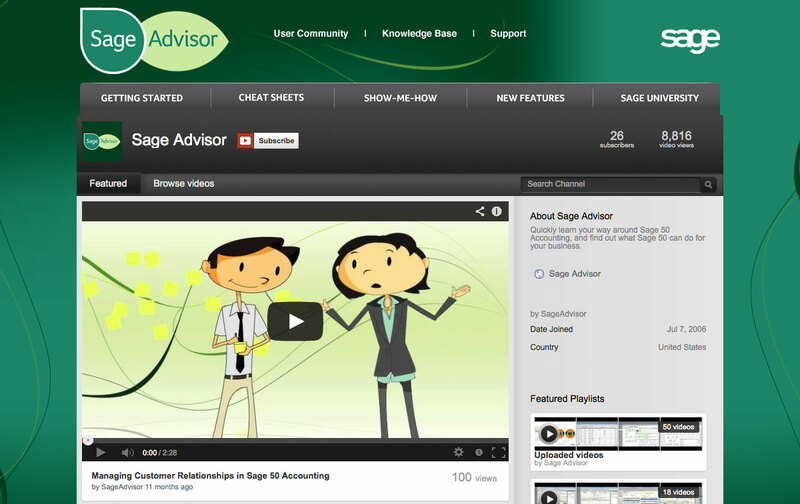 I created designs to support Sage Advisor, including a landing page, YouTube channel, custom player, in-product launch pad, and interactive created for enrollment into Sage University courses. Working with the subject matter expert, I created a library of branded, animated demos to explain specific processes, for which I also edited scripts and recorded and directed voice over. Functional demo site here. 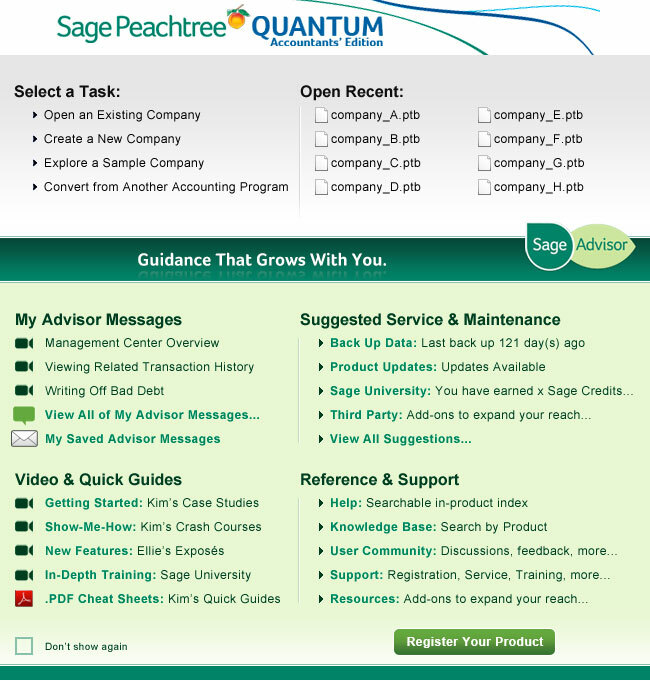 Live site of the Sage Advisor Landing Page. 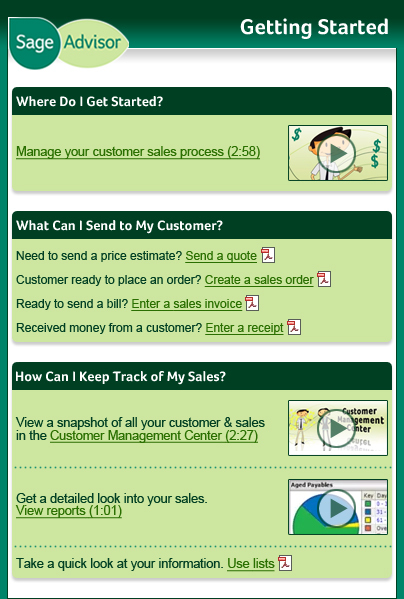 This screen shot is cropped - the actual site is long scroll designed at the request of the Sage Advisor director. The cartoon characters were created by an agency, and the site design meets corporate branding guidelines for 2012-13. I wrote the descriptive copy used in the flash and content sections. 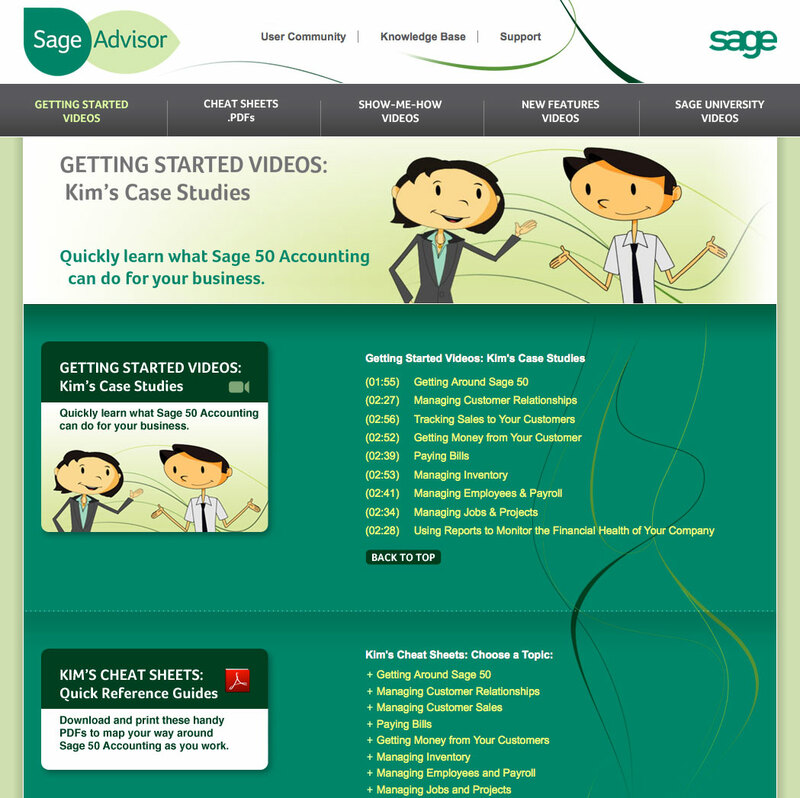 Designed and maintained for hosting Sage Advisor videos. Videos appear in a pop-up window with the player skin. by the director which was more suitable for the amount of content we had available at the time. and his desire to simplify user options (compared to my previous design and content suggestions). I designed the bottom portion which was appended to what was an existing screen. 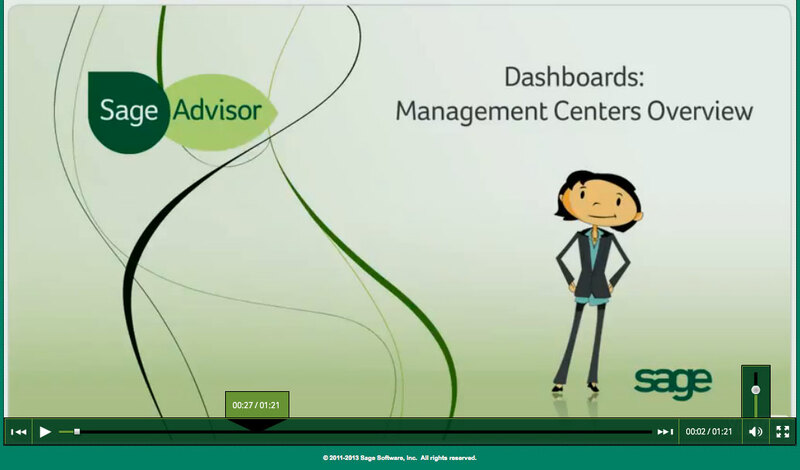 to the Sage Advisor content within the screen in which they are working. Sage University asked for a more intuitive and visual way to enroll in advanced classes. I designed the interface and brought on a developer for coding. View the live site for U.S.